1. Clean the prawn and devein those. 2. Heat the pan with oil and fry the onion sliced cinnamon and clove till it becomes transparent. 4. Add coconut milk, sugar and chillies and cook 1-2 minutes. 5. Check the salt and remove the pan from the stove. 6. 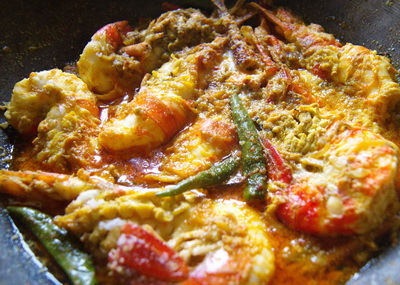 Serve Chingri Malai Curry / Prawn curry with coconut cream. I have been loving your recipes…but this one was awesomest…keep up the good work and let us novice cooks get all praises ! Aisha happy to hear your experience. This recipe is one of my favorite. 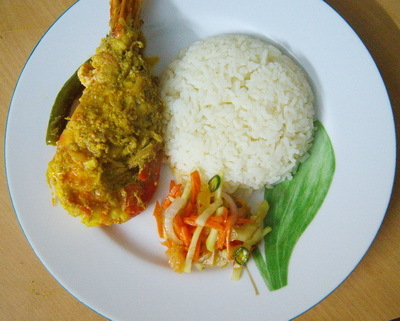 hope you will try other recipes and share your opinion. Thanks. How do i get coconut cream. I would try this. Coconut cream is available in Asian section in any super market. 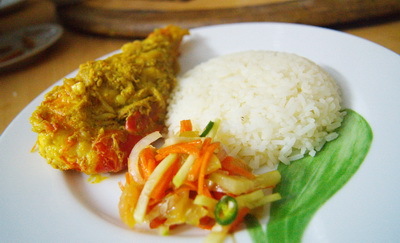 If possible use fresh coconut milk, Fresh coconut milk gives unique flavour. How much is 75 gram? :s sorry I just started cooking few days back so have less idea about everything! Dont need to be exact.try 1/4 cup. thanks.